Here’s an interesting update. The co-producers of Studio Green, KE Gnanavelraja and SR Prabhu will produce a film each independently. As for Gnanavelraja, he will next reportedly produce a movie with a fresh director named Sam. The film is apparently a remake of the Telugu movie, Prema Kadha Chitram. 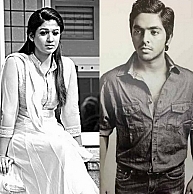 GV Prakash will play the lead and he will also score music for the film. SR Prabhu on the other hand, is producing a female based script along with his brother SR Prakash, under their new banner Potential Studios. The film will introduce director Ashwin. Nayanthara, after Nee Enge En Anbe, will yet again play the lead in this female centric movie. The film, we hear has been titled 'Night Show' for now and will go on floors this month. The word is that the film is a supernatural thriller and will have Aari playing an important role. The formal puja, marking the beginning of the project was held recently at the producers’ office. People looking for online information on Gnanavel Raja, Gnanavelraja, GV Prakash, Nayanthara, S R Prabhu, Studio green will find this news story useful.